We are dismayed to learn of the racial slurs an African-American student recently endured while walking on campus. Georgia Tech does not condone discriminatory language or behavior of any kind and if these allegations are true, please know that the Institute will move quickly to resolve them. It is our hope that these are the actions of a few individuals and do not reflect a broader organizational concern. Despite being one of the most highly respected technology-focused learning institutions in the world, Georgia Tech is not immune to acts of intolerance. In fact, when it comes to human rights, we are really no different from any other institution. Unfortunately, these allegations are reflective of the racism that still exists in this country. As a nation and as an Institute, we have progressed enormously in the past 50 years, but recent incidents such as church and theater shootings across the U.S. remind us that we, as a society, still have work to do. As the late civil rights pioneer Julian Bond observed, “The humanity of all [people] is diminished when any group is denied rights granted to others.” His message obliges every single one of us to become active participants in the elimination of racism and discrimination. As outlined in our strategic plan, Georgia Tech is committed to creating an inclusive, diverse campus. Through the support of our senior leadership, our goal is to create an environment where every human being — including students, faculty, and staff — is valued and respected. We encourage student leaders to join with administrative leadership to identify opportunities to create meaningful change. If we are truly to become “One Georgia Tech,” however, we need to address these situations directly and provide forums where the campus community can share concerns, ideas, and solutions openly. As such, we’d like to invite you to get involved in one of the events being planned as a result of what occurred, where we can discuss racial equality and human rights at Georgia Tech. We hope that you can join us in this dialogue to help prevent acts of discrimination in the future. 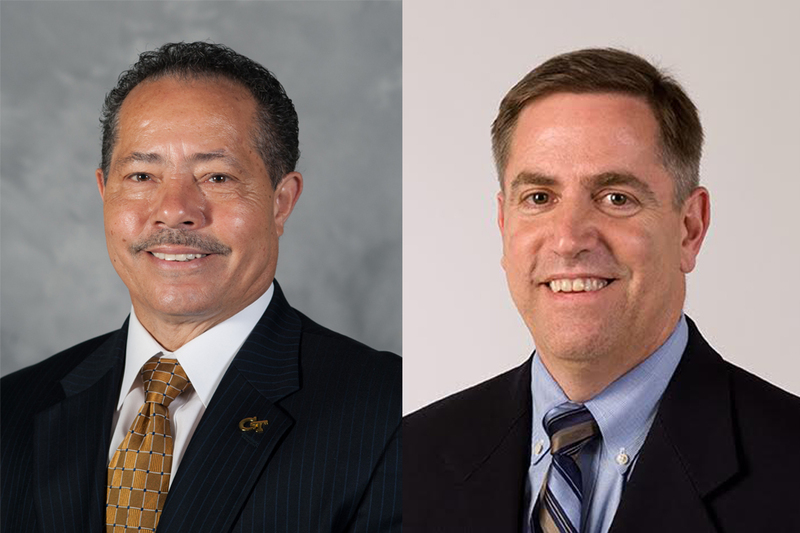 Archie Ervin, Vice President of Institute Diversity, and John Stein, Vice President of Student Life and Dean of Students.